High school senior Sutter Keely is a charming, fun guy, loved by everyone and the life of any party. Sutter lives in the moment, he lives for the now. But as he and his friends approach their high school graduation he finds that everyone else is looking forward, thinking of the future, making plans. Through a chance encounter he meets Aimee Fineky. A shy, reserved girl, she knows him from school even though to him she has previously been invisible. Sutter finds something fascinating about Aimee, and she enjoys the attention. They become friends and ultimately come to love each other (but is that the same thing as being in love with each other?). Aimee and Sutter provide each other with much needed support. Both come from broken homes with absent fathers, Sutter’s through divorce and Aimee’s through death. Sutter is a self-destructive character whose emphasis on the here and now is the result of an inability to deal with the past or face the future. He uses alcohol as a coping mechanism, constantly sipping from a hipflask he carries with him – a habit he soon transfers on Aimee – rarely getting excessively drunk but always having a buzz on. This insidious and constant presence of alcohol is much more confronting and uncomfortable than the usual representations of teen drinking we see on screen (massive party binging followed by throwing up and the rubbing or sore heads the next morning), and before long you find yourself willing him to stop. The characters of Sutter and Aimee have a realism to them that you rarely find in screen teenagers. They look like real teenagers, not thirty year olds in backpacks. They sound like real teenagers, not the razor sharp fantasies of an all-too-clever screenwriter. The two young leads, Miles Teller and Shailene Woodley, are not household names but their performances carry this film. The two, who work so well together it is difficult to consider their performances separately, deliver incredibly authentic portrayals of teenage lovers dealing with all the confusion and uncertainty of youth. The pair received a Special Jury Prize for Acting at this year’s Sundance Film Festival “for two young actors who showed rare honesty, naturalism and transparency and whose performances brought out the best in each other,” an apt description of what they bring to this film. 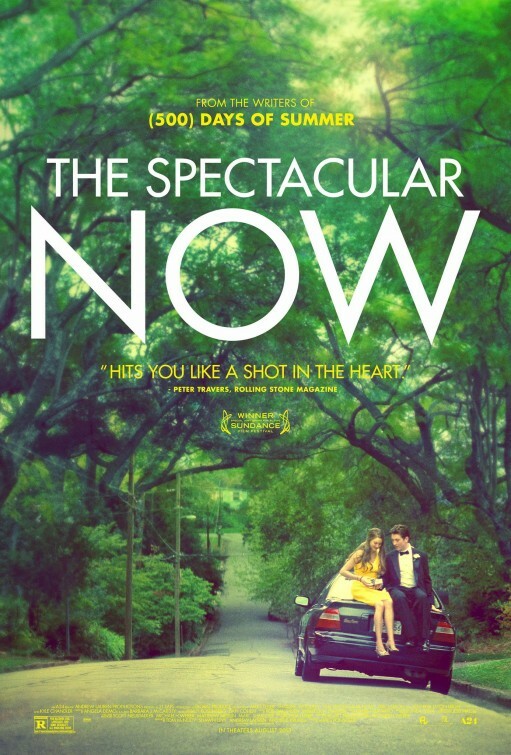 From the screenwriters who delivered the gem 500 Days of Summer a couple of years ago, The Spectacular Now is a film that requires some time to process. It leaves you with a number of questions, resisting the urge to wrap everything up in a nice neat bow. The result is an honest and affecting film, a teenage love story for adults which doesn’t trivialise the teenage experience.